Had a wonderful performance of my anthem Rough/Smooth on Sunday, July 19th at Emmanuel Church in Boston. Scored for mixed chorus and organ, Rough/Smooth was commissioned by Emmanuel in 2013 with funds from the Lilly Endowment. 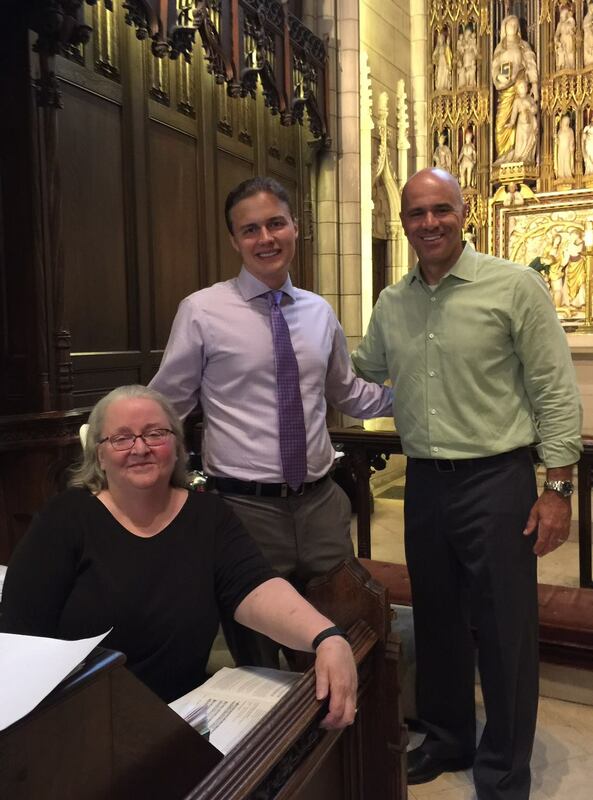 Pictured here from left to right are church organist Nancy Granert, the composer, and Emmanuel Music’s Artistic Director Ryan Turner.